Offers one-on-one and group training for gynecologic or plastic/cosmetic surgeons to become more skilled and comfortable providing vaginal cosmetic surgery procedures. Every aspect of the course is available anytime and is usable, reproducible information designed to lead each student to becoming a self-sustaining independent practitioner and succeed in the field of aesthetic gynecology. View both live and full-length videos of surgical procedures being performed by Dr. Goodman. Your own copy of the new textbook, “Female Genital Plastic/Cosmetic Surgery”. Digital files of all forms, including patient pre- and post-op instructional and informed consent sheets. Course completion certificate and CME Credits. One year access to online videos and materials. Held at quality hotels with meals and snacks included. 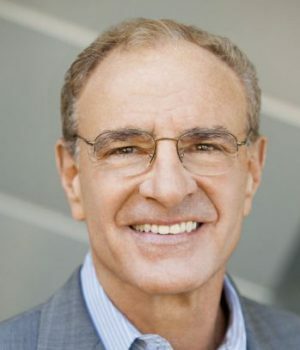 Dr. Goodman’s career in genital aesthetics began in the late 1990s (his first labiaplasty was in 1997); by 2005 he had performed more than 50 genital cosmetic procedures, becoming an Associate of the American Academy of Cosmetic Surgery in 2010. He began teaching training courses in the U.S. in 2009 and has trained surgeons for the European College of Aesthetic Medicine and Surgery (as Senior Faculty) and other U.S., South American, Asian and European Societies for several years. This year, Dr. Goodman will reopen a live, one-on-one training course in his Davis, CA clinic. This course, spanning a two-to-three day time frame and scheduled for mutual availability, will cover the material in Dr. Goodman’s usual quarterly training courses in Atlanta and Sacramento, including all of the surgical videos. It will also include two real time live surgeries and the opportunity to view Dr. Goodman and his staff interacting with potential and current surgical patients, office setup and functioning of surgical procedures. Register Here!